If you’d told me 20 years ago that I was going to be a pig farmer and butcher, I’d have laughed and pointed out that I was a vegetarian, an aspiring academic and just wanted to help make the world a kinder place—but here we are. Yet there is such a clean logic in the trajectory, a clear focus on the ethics of animal husbandry. I have developed an enduring habit of solving problems by up-skilling—ensuring I have the competence to overcome the ills of industrial agriculture. Firstly as a family, we overcame these problems in our own domestic sphere, and later as local/global citizens, we contribute daily to the changes we wish to see in the world. We unfortunately only have time here for the last few years of this story. I’ll begin with the galvanising moment—June 2010—when my lifetime lover Stuart and I heard Joel Salatin of Polyface Farms speak at the Lake House in Daylesford, Victoria. Many of Salatin’s key points from that pivotal day are central to how we do business at Jonai Farms and Meatsmiths today: look after the ‘ecological umbilical’ through practices such as pasture-raised livestock in regenerative systems; take control of further processing on-farm and work for regulatory reform for small, low risk systems; ‘hold your innovations lightly’—no trademarks or patents; share what you learn in the interest of the public good; identify your market boundaries and then send people to other wonderful growers also selling ethical food; sell directly to people, and make sure ‘people answer the phone’; no advertising—it’s all word of mouth; ‘respect the pigness of the pig’ of course; and finally, we need more ‘Jeffersonian intellectual agrarians’! 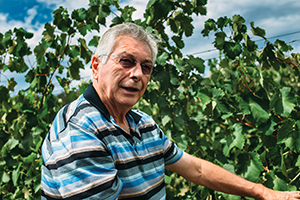 After hearing Joel proselytise on the viability of small farms and our capacity to right the wrongs of industrial agriculture, we knew farming was our ticket out of the city and onto the land, where our bleeding hearts had been waiting since before we met. September 2011 we found ourselves on 69 stunning acres of rich volcanic soils, the proud custodians of the southern half of an old cinder-cone—our very own volcano. It just so happened that we were in spa country near where Joel Salatin had first impressed his message upon us in Daylesford. We started with six rare breed Large Black pigs, a dozen Lowline cattle, a flock of rare breed Lincoln sheep, a dog, a cat and a handful of chooks. Just over two years later, we run a full herd of around 120 pigs at any given time (12 sows and two boars) and have just begun breeding our own Lowlines. After the first hurdles of learning to care well for pigs and cattle, we faced our first serious roadblock—we were ready to have pigs slaughtered and butchered. The abattoir was a bit tricky—the closest one is over an hour away but their systems are of a high ethical standard. We are happy with their best-practice carbon dioxide stunning method and the minimal holding periods of the pigs. Luckily then, it is a worthwhile trip. It is butchering that is hands down the biggest supply chain issue small livestock producers face. Of the many retail butchers we approached as our pigs neared market weight, one was too busy to help, one was only sporadically available and then over-charged us when he was, and one was openly surly at the suggestion that we might give him some business. Increasingly disheartened and desperate, necessity birthed inspiration, and we hatched the seemingly ‘impossible’ plan—we would build a boning room right on our own farm. I realised then that he didn’t actually believe I was serious about wanting to learn, but when Sal saw me don the apron, he quickly adjusted his expectations and settled in to the task of teaching me how to break down a carcass with minimal waste. We would always cut after a full day’s work; this was the major reason why it was so hard to find a willing butcher, as their own retail businesses operate six or seven days each week. An intense six months of fortnightly butchering followed as I learnt slowly each and every cut of the pig. At the other end, I came out not only a competent meatsmith, but with a profound respect for the skill and strength of those in the trade. Meanwhile, Stuart and I set about researching the requirements for an on-farm boning room. Those requirements are fairly stringent, and largely obscured by intentionally vague standards in the federal Meat Industry Act, which are then enforced by state regulators (PrimeSafe in the case of Victoria). Our local council really had no idea whether we could set up a boning room within the farming zone—it turned out of course that we could. Other small producers said they’d thought about doing the same, but felt overwhelmed at the regulations and the expense of building a facility. 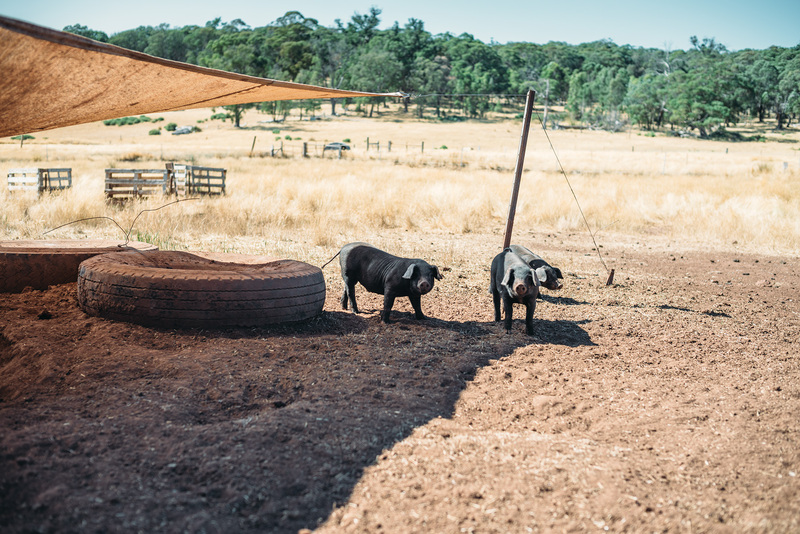 To prepare for the building of this room, as we did when we were preparing to become pig farmers a mere year and a half earlier, we hit the road and spoke to the experts—butchers across Victoria, New South Wales and South Australia. While their own grasp of the standards was sometimes sketchy, they were running legal, licensed facilities, so we figured they must have some idea of what was allowed and what wasn’t, even if they weren’t based on a farm. There were a lot of inconsistencies. 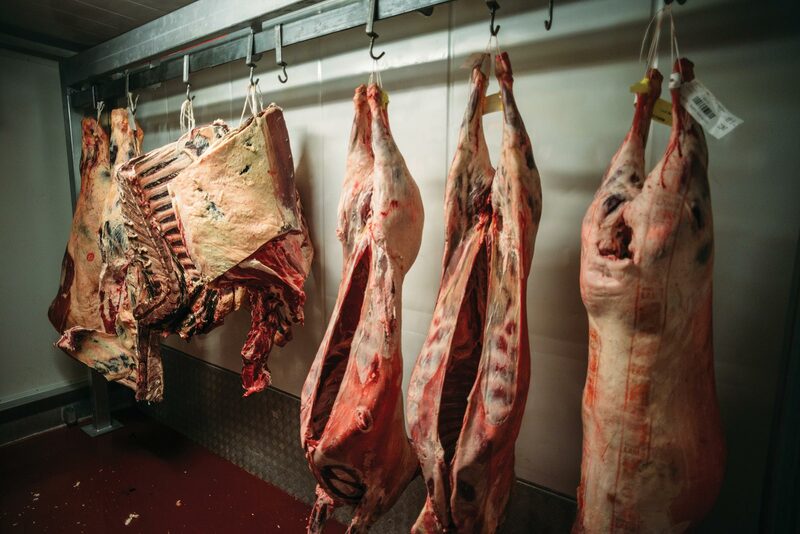 Our research uncovered differences in the interpretation and enforcement across state jurisdictions, as well as a lot of confusion amongst butchers about just what is required and why. We also learnt that supermarkets and other retailers, for whom meat is less than 50 per cent of their sales, are regulated by the Environmental Health Officers at their local councils, not the meat regulators in each state. So although the largely unskilled ‘butchers’—or box cutters as we call them (a reflection of the type of products they usually cut)—working in the duopoly are managing the same risks in terms of safe handling and temperature control, they are not subject to the same level of scrutiny as butcher’s shops. There has been an enquiry into these inconsistencies and the need for greater transparency in the regulators’ dealings with butchers, but it appears that the government has little appetite for reform in regulation of the meat industry. In short, that meant we worked out the requirements as best we could ourselves. We were left to our own devices with the generous advice of a number of excellent butchers in Australia, as well as with advice and support from the Australian Meat Industry Council (AMIC)—the peak body for butchers and abattoirs. The next piece of the puzzle was funding—we turned to our growing community of ethical omnivores. 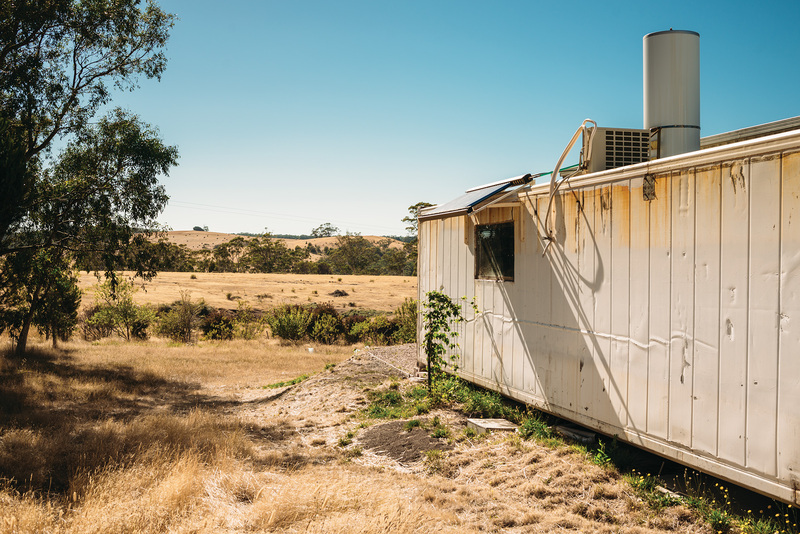 We put up a campaign on the Australian crowd-funding site Pozible seeking $21,450 to build our boning room from a converted 40-foot refrigerated container. After hitting our target on Day 19, we went on to raise a total of $27,570 from 166 wonderful supporters. We attribute the success of our campaign to the rapidly growing population of eaters, keen to be more connected to their food. On the 21st of January 2014, PrimeSafe came and inspected our newly completed butcher’s shop, and gave us the stamp of approval. Stuart had done the entire fit out himself except for the compressor in the cool room and the wiring, and we filled it with entirely secondhand equipment. The next day I commenced cutting up my first four carcasses for our regular monthly Melbourne delivery. We were in operation immediately, in charge of what a good friend of mine described as a ‘minuscule supply chain’, one that greatly enables our philosophy of radical transparency. 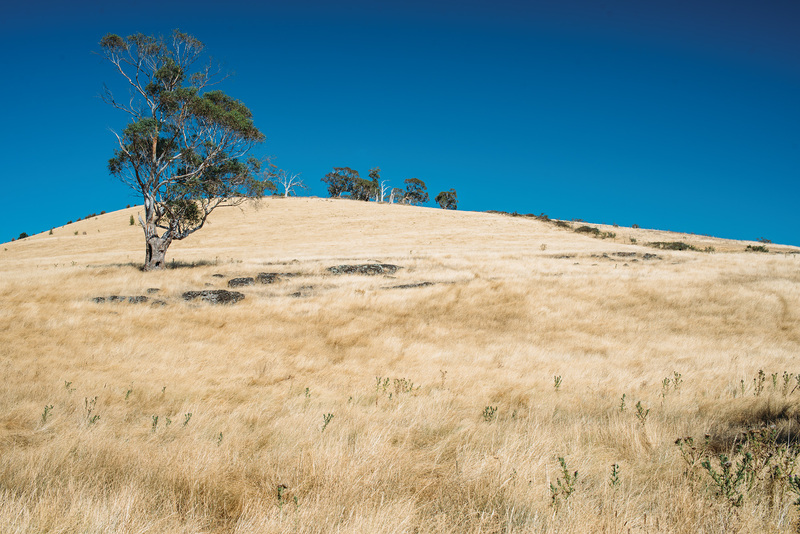 A matter of days after taking on all our meatsmithery, I blogged our whole story with details for other producers considering a similar move, and a month later became a founding member of a new national voice for farmers—Fair Food Farmers United (FFFU)—a branch of the Australian Food Sovereignty Alliance. Twenty years ago I opted out of as much industrial agri dependence as I could; today, by the same motivation, I am in the exact same place, but as a free-range pig farmer, and a mindful meatsmith. ¡Viva la Revolución!